People demand encores of my theme. ENCORES! In terms of story, I, your greatest Koopaling of all time, have a super-secret anti-Mario weapon I'm producing within the depths of Fort Cobalt. I also have the Blue Big Paint Star, and I'm not exactly hiding that I do. Everyone knows that. I'm not sure why it's so important, but I do know that Mario and his talking paint bucket want it, which is enough reason for me to never let it go. 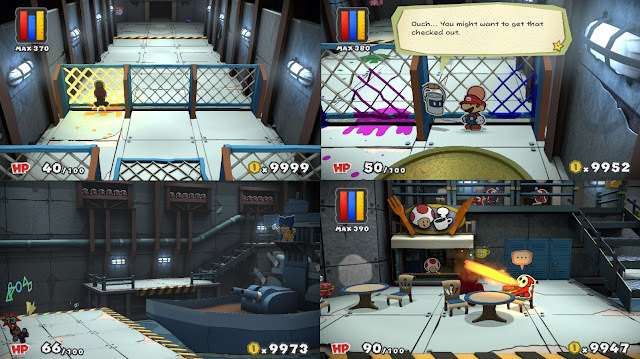 A large group of mischievous, yet incompetent, blue-coloured Toads have infiltrated Fort Cobalt prior to Mario's arrival, and many of them have become trapped in air ducts. 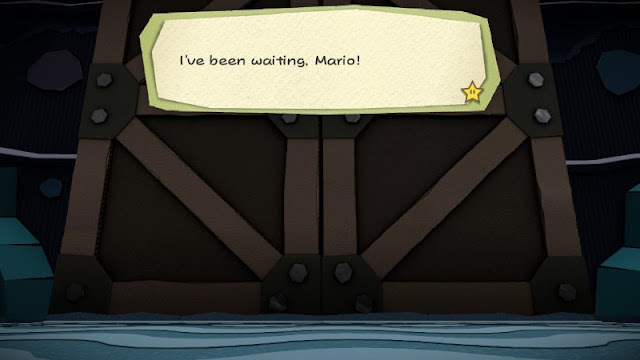 Still, they have paved the path for Mario's arrival. Which is PERFECT, because what better way to use an anti-Mario weapon than have Mario show up right to the weapon? I don't even have to produce movement capabilities on it! I've named enemy characters such as Mario, Huey (the paint bucket), and the Rescue Blue Toads. 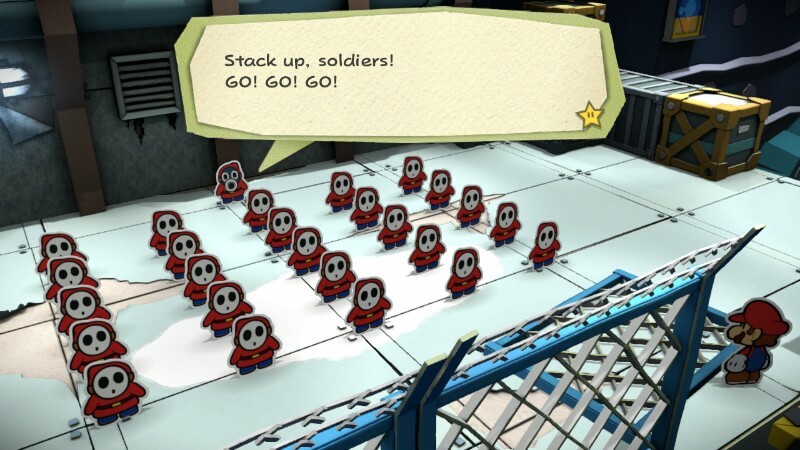 However, there are supporting characters such as Shy Guys, Ninji, and my own personal defence squads. They aren't very intelligent, but they are aware of how important defending Fort Cobalt is. They also don't really distinguish themselves from each other, but fortunately no one is offended if I get their names wrong or just refer to them as, “Hey, you!” They're just happy to be working for THE BEST KOOPALING. The steel plates these Shy Guys are standing on are more interesting than the Shy Guys themselves, but they're good people. So... what kind of fun do I get to experience while working on the SECRET WEAPON? Well, through the power of surveillance, and my own magic, Mario has to go through a range of spectacular traps. These range from chainlink fences, to an exercise room (and we all know how much he hates THAT! ), to a deceptively peaceful café filled with SECRETLY SPICY FOOD! AHAHAHA! Oh, and electrified fences (note to the United States: These work incredibly well in keeping intruders out — so it's not a big deal if they're used to help form THE WALL), falling basins, and TRAP DOORS THAT LEAD TO A NINJI-INFESTED DUNGEON! AHAHAHAHAHAA! Plus, ELITE Silver and Gold-plated Shy Guy warriors. They do a deceptively HIGH amount of DESTRUCTION! So much deception! So much PAIN! me blasting Mario with some magic from my wand; a Shy Guy roasting Mario from the spiciness of the food. Okay... I need to calm down. I'm just so ecstatic about how fun it is to be the master of Fort Cobalt, and seeing all of my traps work. Let's talk about something more pleasant for the kids, like my graphical experience. The surveillance cameras were very high-tech and HD quality. Everything was crisp. You can just FEEL the sharpness of my paper-snipping army of minions by looking at it. The sound effects helped, too. Behind this door is an amazing, surprisingly well-lit mechanical room filled with the latest in observation and ship-building technology. Good experience, and paid for on my expense account. There is a ton of replay value and choice for Fort Cobalt. I get to choose between the Super Ludship, and the Super Ludsub! TWO amazing secret weapons of DOOM! If one sinks, well, I get to just choose the other. They're both amazing and really fun to use. Destroying Mario never gets old. Obliterating Birdo doesn't get old, either, since Mario keeps insisting on making Birdo come and sing a weird performance on his behalf. I don't know why he keeps thinking that will save him. Unlike my theme, Birdo's performance does NOT get an encore. She does, however... GET A MISSILE TO THE FACE! Between you and me, my Super Ludsub is totally invincible. There's absolutely no way to penetrate it. NONE. I've been working for a long time to develop such an unbeatable secret weapon, and I'm proud to give the world an opportunity to witness it against its intended target: Mario! With all of the destruction Mario has wrought upon my family and Koopa Kingdom, it feels AMAZING to launch a salvo of obliteration-inducing missiles on him. And Mario is welcome to get blown up until he runs out of 1-Ups and finally stays dead. I got more than enough missiles stockpiled to handle that! It'll never get old. As I think I've made abundantly clear, my personal experience with Paper Mario: Color Splash is quite positive in every aspect. I obviously cannot recommend that people somehow become me (how's that gonna happen...? ), but I can recommend Paper Mario: Color Splash for my experience. ...As long as you fully expect to always get a game over against me and my Super Ludship. 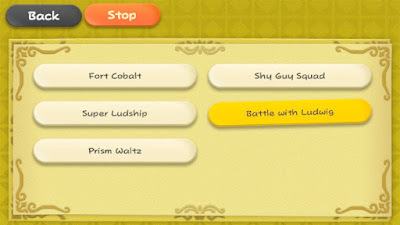 If you really wanted Ludwig to actually complete the request from the Requests Page this year about writing a review for the entirety of Paper Mario: Color Splash, you're probably out-of-luck. 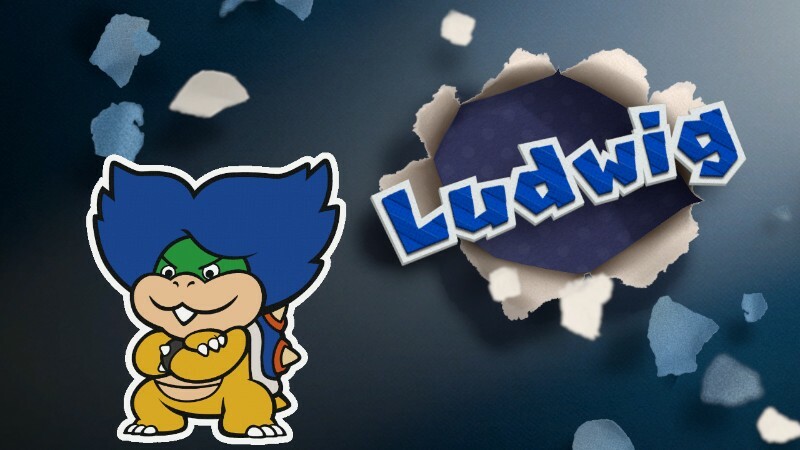 It'll be some time before Ludwig completes it, since he hasn't played the game since before his second ban on Miiverse due to logging his whole adventure on Miiverse. However, RawkHawk2010 has completed the game already, so feel free to badger him about it. Ludwig first wrote about his role in Paper Mario: Color Splash as part of the Rescue V article series. He starred in Episode 3. Hopefully, Mario never reads (or has someone else read to him) the article about the folly of Replica Things. The REAL review of the entire Paper Mario: Color Splash is here! The Super Ludsub is Ludwig's favourite vehicle ever. I'm still conflicted about getting this game. What's better than a plumber murder simulator? WITH MISSILES. How would you compare its plot to past Paper Mario plots? (Or even the Mario & Luigi games.) I've seen many people say the writing is funny, although mainly focused on one-off jokes, but the plot is shallow. So it approaches plot differently than previous PM games. The plot is a lot more in the background. Similar to Sticker Star, each level basically has its own plot. 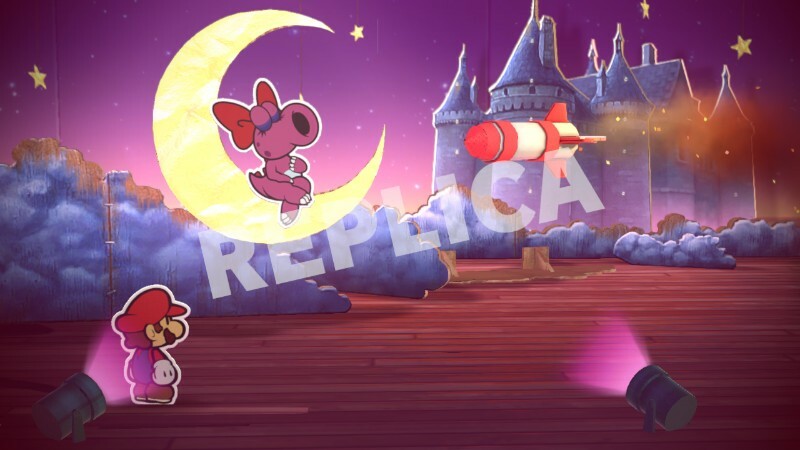 Unlike Sticker Star, completing things in one level will prompt you to return to a previous level, since you sometimes won't be able to complete everything in a level upon your first access to it. 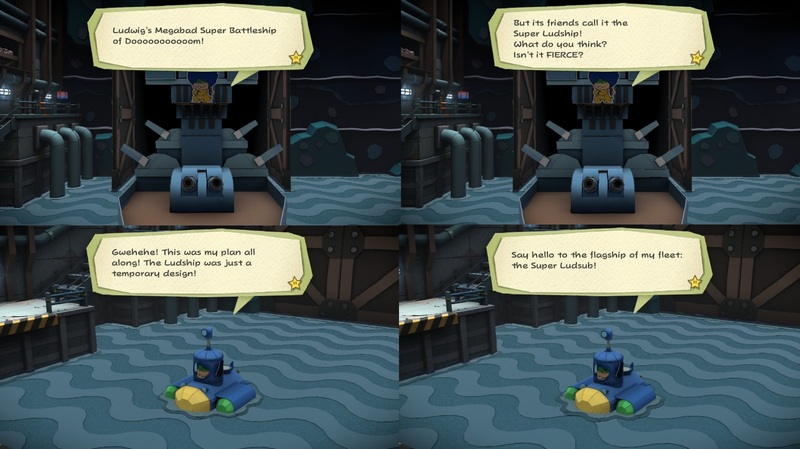 So, while Sticker Star was actually non-linear, Color Splash is linear because there are plot-gates. The effect of that is a greater focus on development. ...Oh, and the writing is better than Ace Attorney. Hmm, that doesn't sound bad. That would be because it's NOT bad. 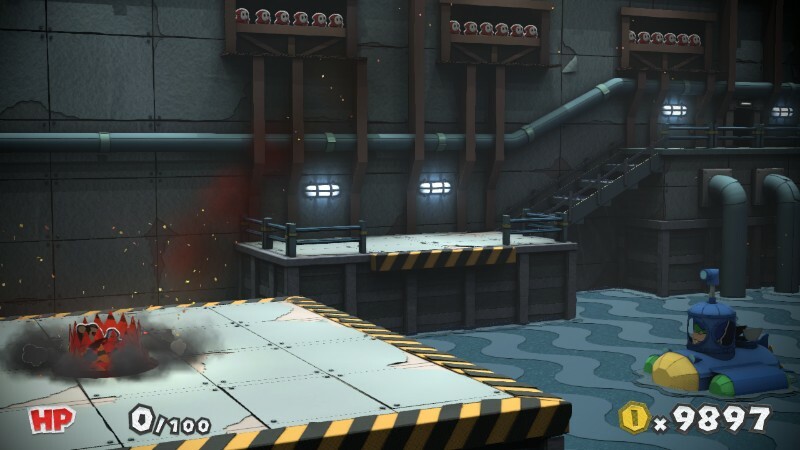 I'm going to replay this area over and over again just to witness Mario's defeat. My only problem with this is that Paper Mario: Color Splash only has one save file. Big flaw. ...Nah, that's impossible! Balloons? To lift a submarine? That's ridiculous! So, my favorite koopaling, did you know that toad that is at the cafe is a SPY?! When I found that out I figured he would be dead if you found out. That's ridiculous! How could a spy provide such pleasing food to my troops at low prices?! None of the Shy Guys, and me neither, were offered an overpriced SPECIAL... DISCRIMINATION! But he looks the same as all the other Toads. How will I track him down and exact revenge? Hopefully you catch that toad and give him what he deserves. Karma should bite him for doing that! !